/Top 10 Questions /How do I order a sample? If you want a sample of a personalized card design with your photos, custom wording, and more, you can order one during checkout. 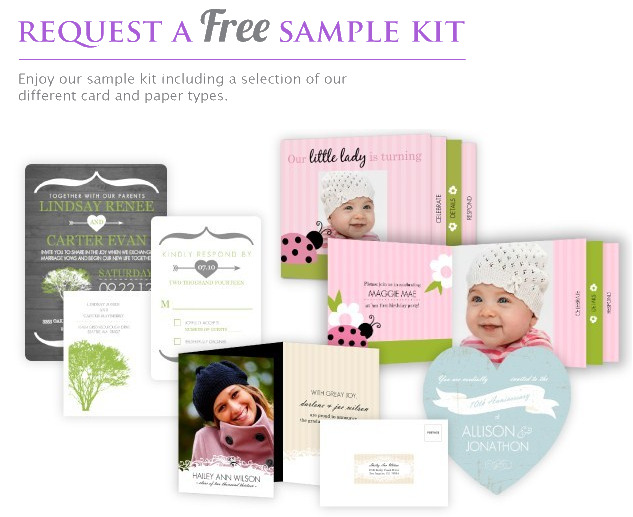 Simply personalize any card and select “Order a Sample” from the Select Quantity drop-down. You can order a free general sample pack by filling out a short form here. Our general sample pack includes a variety of stationery items. 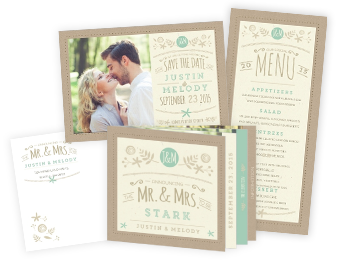 They showcase samples of our different designs, paper options, die-cut options, and premium card types, like booklet and tri-fold cards.